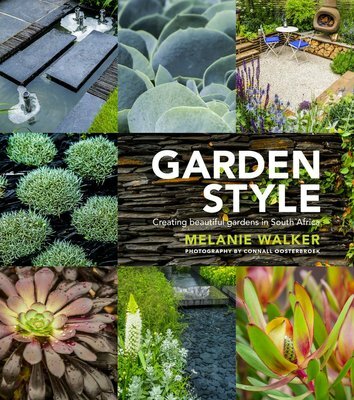 Create the garden of your dreams with ideas and advice from a leading light in the gardening world, Melanie Walker. Whether you have a tiny urban courtyard or a roomy rural plot, Garden Style will inspire gardeners from every corner of South Africa to make the most of their garden and entertainment area. Garden Style describes in detail how to achieve any of 19 distinct garden styles: from sweeping woodland and grassland gardens, through moon, rock and rose gardens, to compact courtyard and cottage gardens. It also covers the fundamentals of gardening, such as understanding garden habitats, basic design elements and water-wise gardening. Each chapter includes sections on planning and planting, with a list of key plants suited to each style, plus lots of helpful tips and features on different aspects of gardening – and, of course, ample spectacular photos to inspire you.